The aim of this study was to evaluate the efficacy of multiple platelet-rich plasma (PRP) injections on the healing of chronic refractory patellar tendinopathy after previous classical treatments have failed. We treated 15 patients affected by chronic jumper’s knee, who had failed previous nonsurgical or surgical treatments, with multiple PRP injections and physiotherapy. We also compared the clinical outcome with a homogeneous group of 16 patients primarily treated exclusively with the physiotherapy approach. Multiple PRP injections were performed on three occasions two weeks apart into the site of patellar tendinopathy. Tegner, EQ VAS and pain level were used for clinical evaluation before, at the end of the treatment and at six months follow-up. Complications, functional recovery and patient satisfaction were also recorded. A statistically significant improvement in all scores was observed at the end of the PRP injections in patients with chronic refractory patellar tendinopathy and a further improvement was noted at six months, after physiotherapy was added. Moreover, comparable results were obtained with respect to the less severe cases in the EQ VAS score and pain level evaluation, as in time to recover and patient satisfaction, with an even higher improvement in the sport activity level achieved in the PRP group. 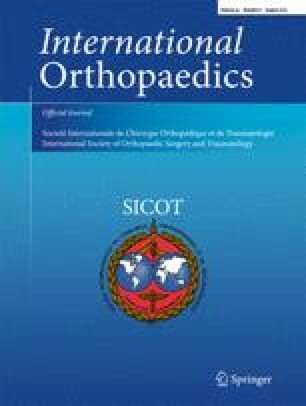 The clinical results are encouraging, indicating that PRP injections have the potential to promote the achievement of a satisfactory clinical outcome, even in difficult cases with chronic refractory tendinopathy after previous classical treatments have failed. Thanks go to M. Lo Presti, M. Delcogliano, S. Zaffagnini, A. Bondi, A. Di Martino, and S. Bassini from the IX Division – Biomechanics Lab, Rizzoli Orthopedic Institute, Bologna, Italy; to A. Cenacchi, F. Pieretti, A. Gabriele, M. Vaccari, A.M. Del Vento, M. Zagarella, V. Roverini, I. Brognara, L. D’Amato and S. Ardone from the Immunohematology and Transfusion Medicine Service, Rizzoli Orthopedic Institute, Bologna, Italy; to E. Pignotti, and K. Smith from Task Force, Rizzoli Orthopedic Institute, Bologna, Italy; and to G. Nanni from Isokinetic, Education Research Department, Bologna, Italy.